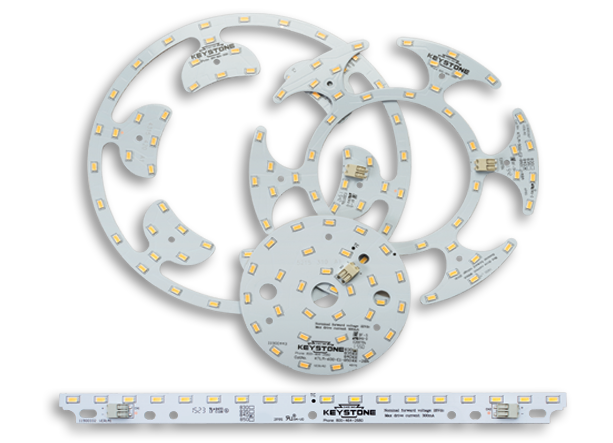 Experience a more even, and brighter, light using LED modules. 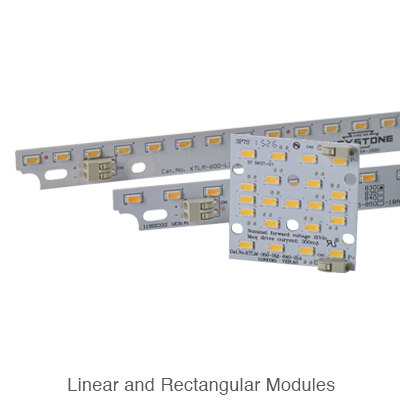 Keystone offers a variety of constant current LED modules to accommodate various types of strip, troffer, downlight, and custom fixture applications. 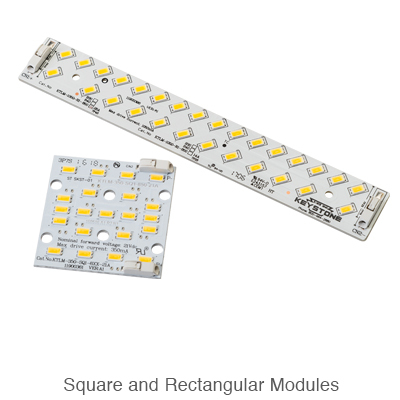 We manufacture LED modules based on light output categories, as well as modules focused on maximum energy efficiency. 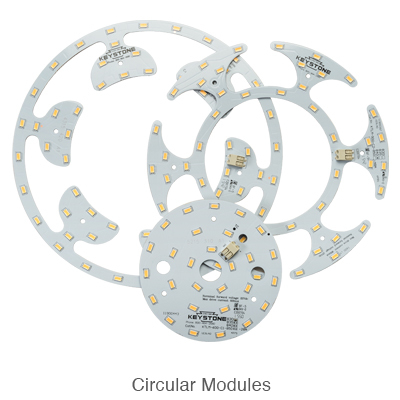 Keystone provides even, consistent, lighting with our rectangular, square, and circular LED module configurations. By using a PCB metal core, our LED modules use a low operating temperature to produce a bright light output as well as a longer life. Keystone’s linear LED modules are the perfect solution for upgrading existing linear fluorescent fixtures. Many applications such as hospitals, high end retail stores, and printing facilities need a higher CRI to enhance color appearance. Our linear LED modules are available in 80 and 90 CRI, depending on application needs to display the true color of products.